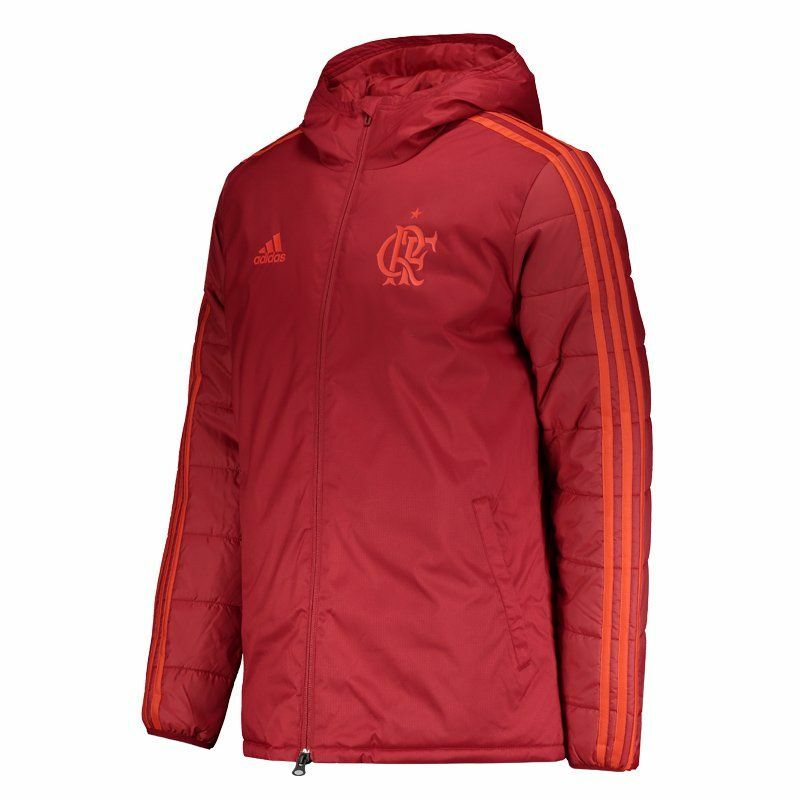 Produced by Adidas, the Flamengo Jacket is the right choice for fans to wear on days of lower temperature. The piece is made of durable polyester, offering the comfort and protection needed for everyday life. Its design is predominantly red. More info. 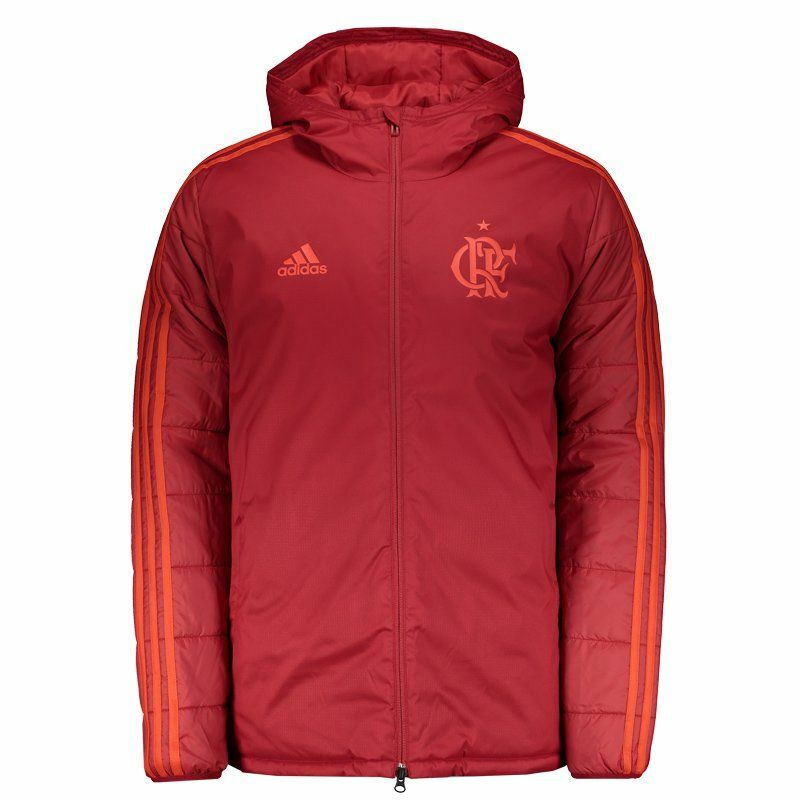 Produced by Adidas, the Flamengo Jacket is the right choice for fans to wear on days of lower temperature. The piece is made of durable polyester, offering the comfort and protection needed for everyday life. 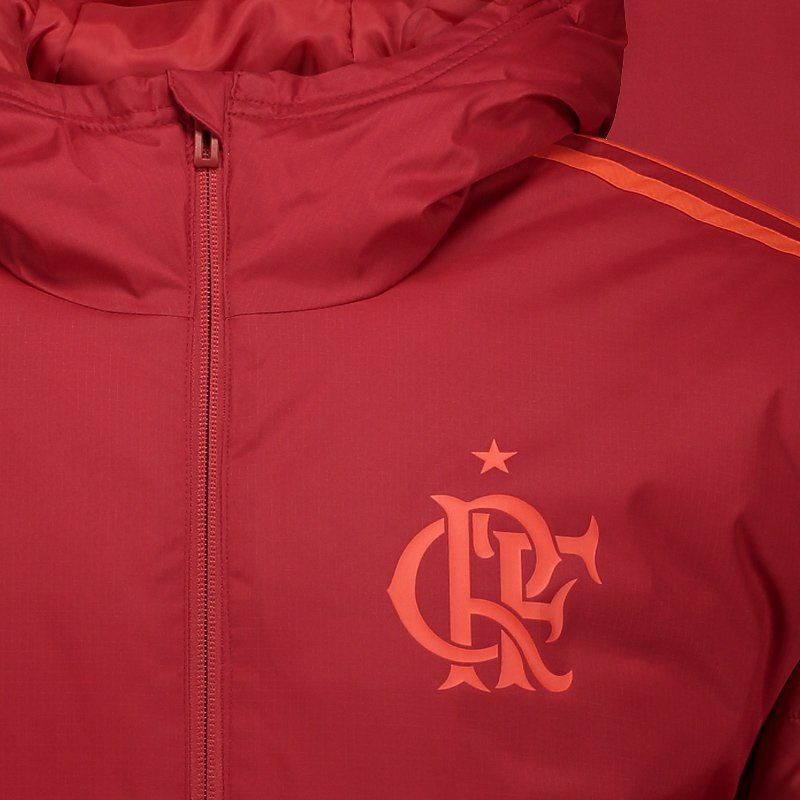 Its design is predominantly red with details in a lighter shade of color, seen in the traditional stripes of the mark located in the long sleeves, besides the logo of the mark and badge of the club stamped in the chest. 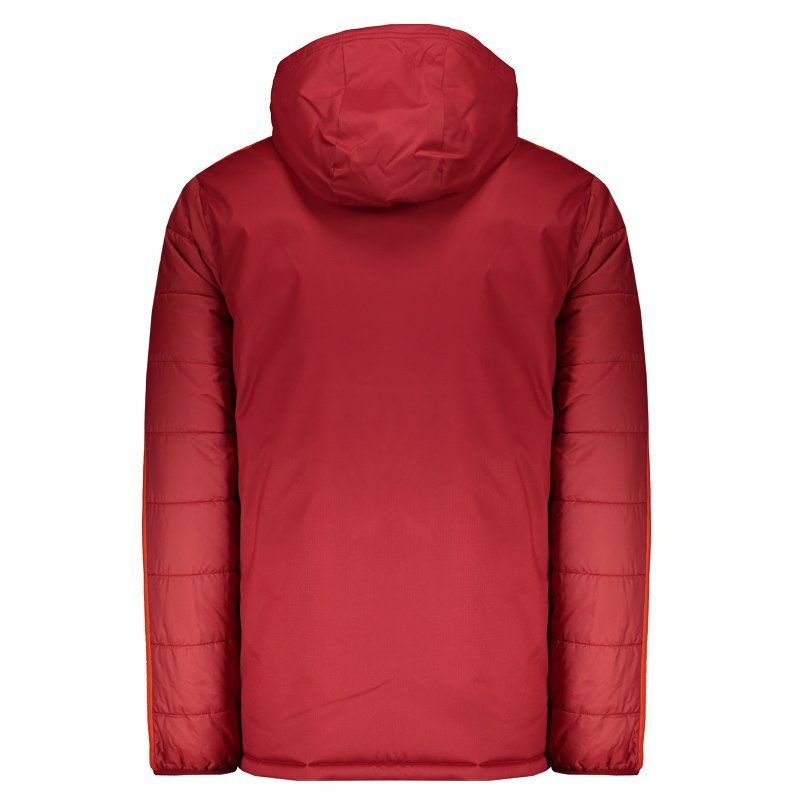 In addition, its high collar has hood and brings opening/closing through the practical zipper. It also has side pockets that also have zippers, great for storing small objects safely. Finally, the sleeve cuffs feature a fluted finish for a better fit. Get it now!